Sometimes, the things that make us grow personally cannot be found in books nor are they taught in schools. What makes us strong, makes us better people, are the experiences that we encounter in life. Whether they are made up of happy thoughts or bad and horrible incidents, still they teach us valuable teaching in life. 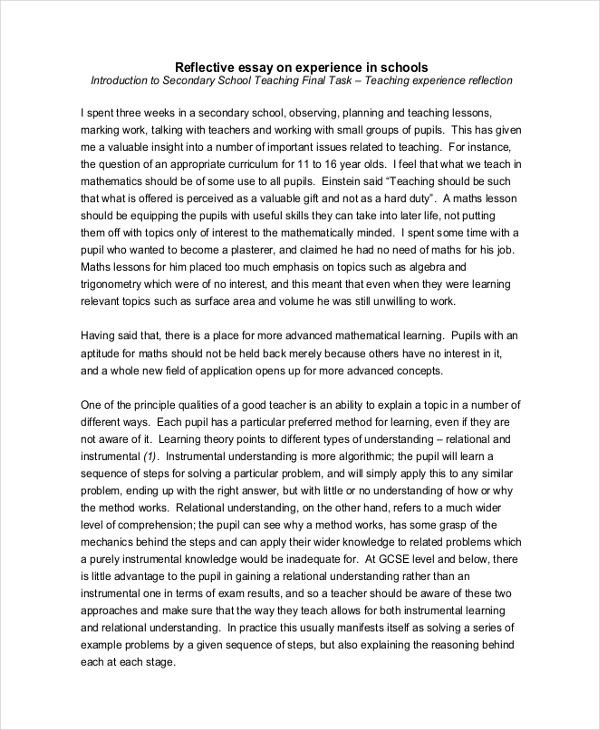 You may also see analytical essay examples & samples. They say that being wise is better that being knowledgeable. Wisdom is acquired through reflection of one’s experience as well as of the environment. The more we reflect the more we become aware of ourselves. We become mindful of our existence as well as the meaning of life and all the things that surround us. 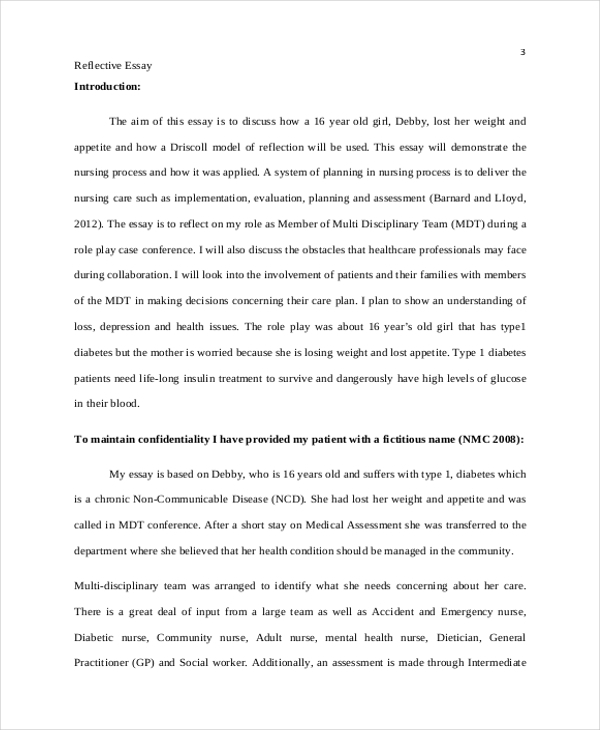 Here we present different formats of essays like essays in doc. 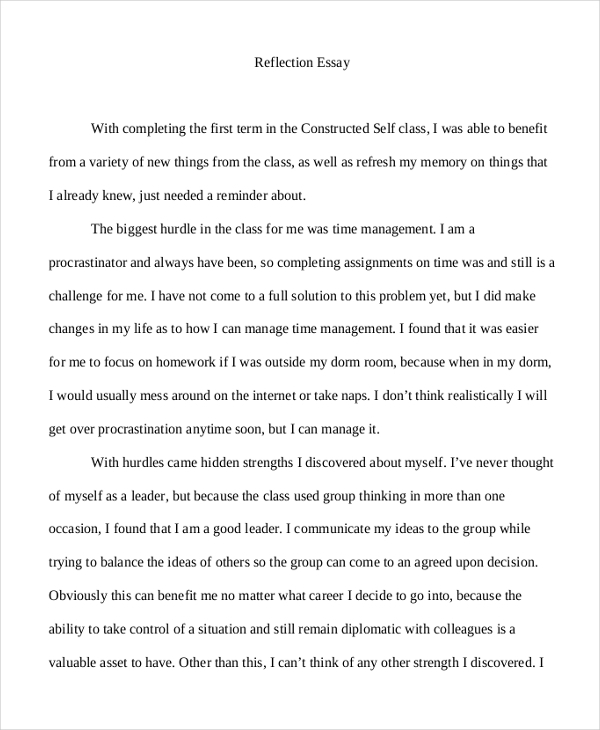 A reflective essay is a written piece of literature that focuses on presenting and narrating a person’s experience and how it becomes an instrument towards a change of perception in life. It is a way for a writer to share an important event in his/her life and how it affected him/her so that others may learn something from it. Reflective writing root on life changing events. The writer shares a specific experience, provides a narration of the incident including the material elements. It offers a realization so that others who may have had the same experience can draw out a shared mutual lesson from it. 1. Think of an important event. 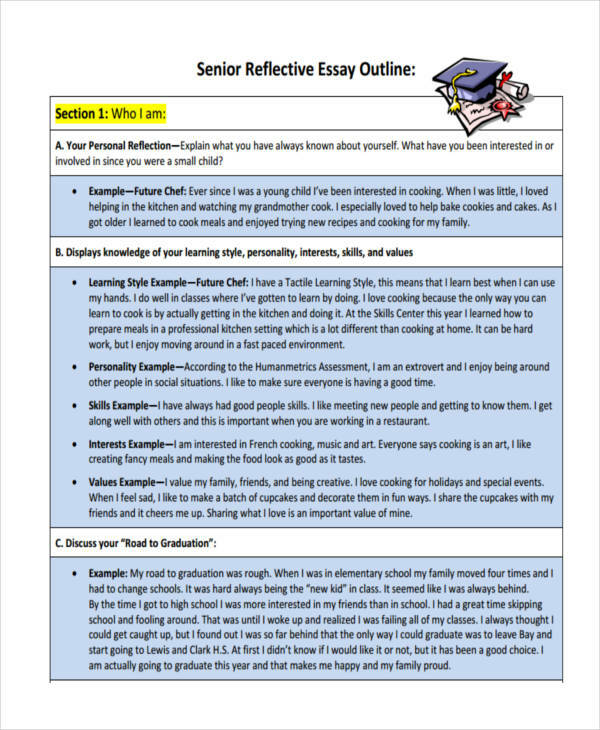 What you will be writing on your reflective essay is something that is rooted from your own personal experience or encounter of something. Think deep and concentrate. 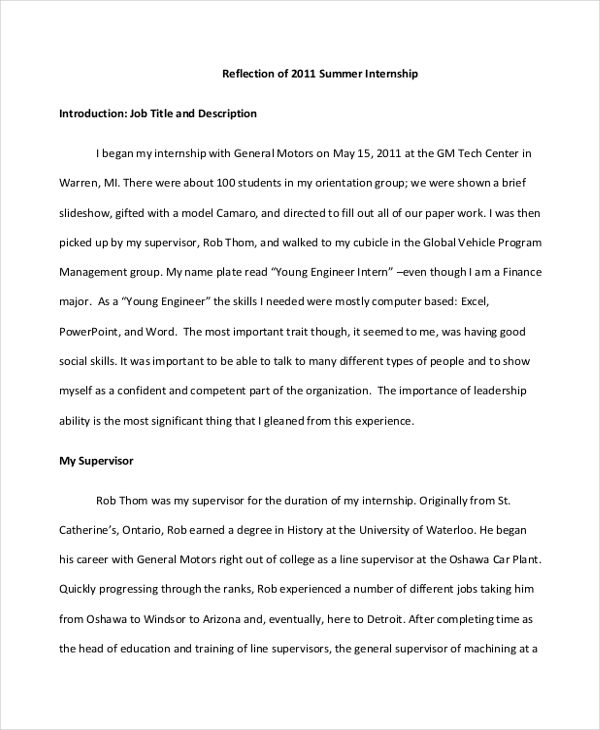 You may also see personal essay examples & samples. 2. Introduce your topic. In your introduction, write the concrete event or experience that you want to share. Pattern it in a story form. 3. Develop your point. 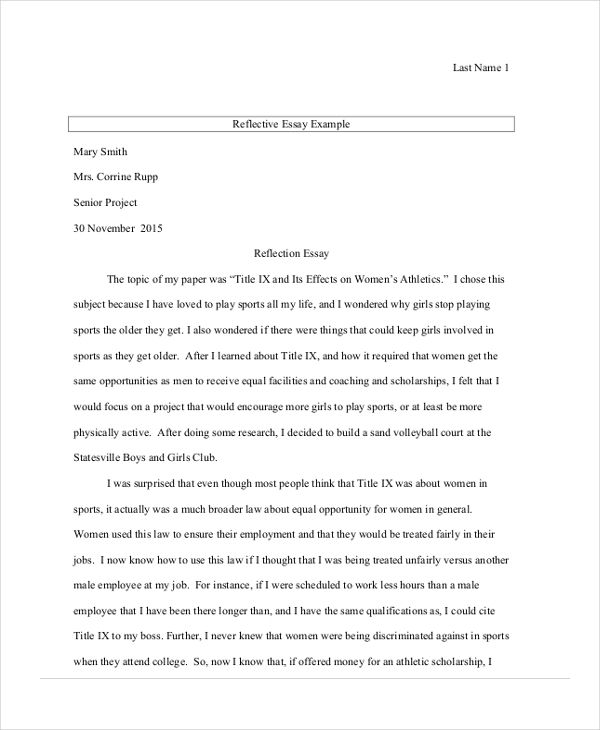 Write the main content of your essay with at least three to five paragraphs supporting your main topic. 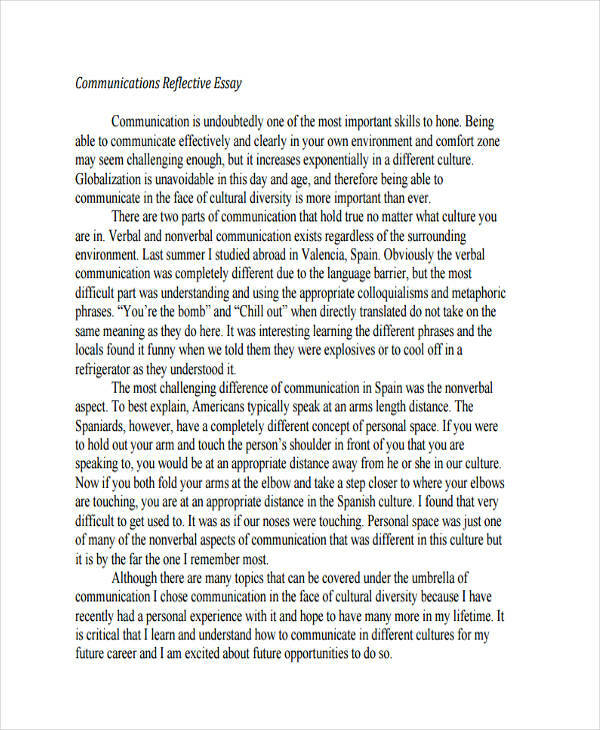 Writing a reflective essay is not persuasive writing where you have to convince your readers to accept your opinion. You simply have to share an experience. 1. Write a draft. Do not jump hastily onto formal writing. Write a draft where you can create a bulleted list of the things that you want to share. 2. Think logically. When presenting a story, do it in a chronological manner so that your readers can understand the plot. Do this as well when presenting your ideas. 3. Create a summary. Use a summary writing to briefly state your insights and to give your final thoughts of the topic. In this era that we currently live in, personal reflection can be considered as thing of the past. Because of the gradual change and development of the things around us, we find it difficult to pause and reflect on the things that happen to our lives. 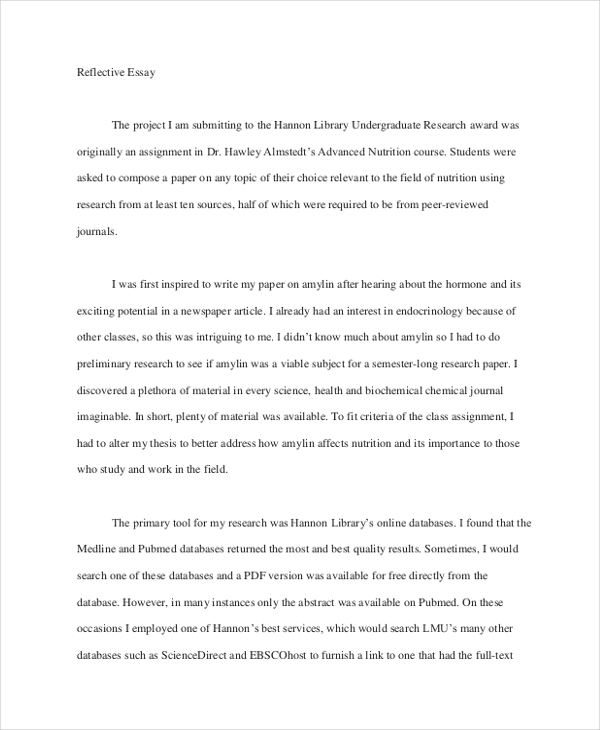 You may also see academic essay examples. 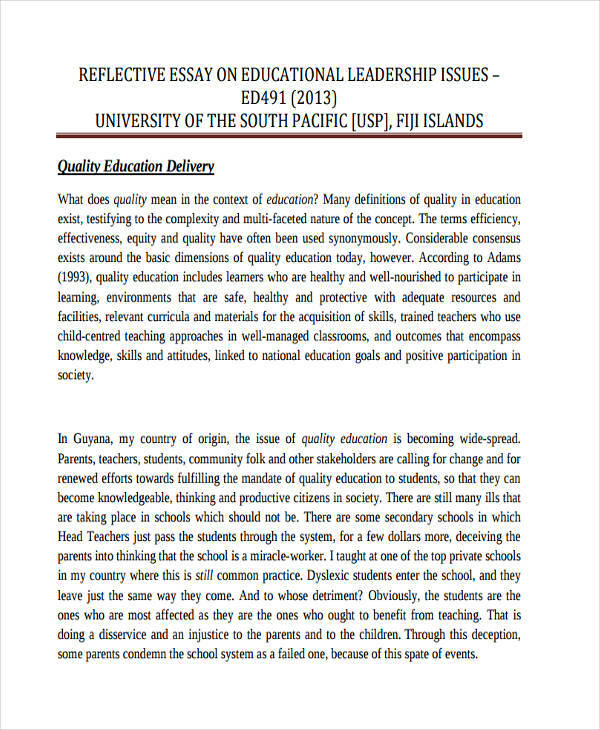 The importance of a writing a essay is to present to us the things that we rarely encounter in our day-to-day activities. In this time when material things are all that mattered, we have become unappreciative of the abstract things like love, compassion, and mercy. We cannot learn this things from those electronic gadgets that keep us busy.